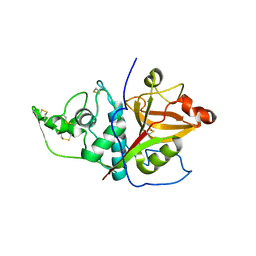 著者 Sivaraman, J., Li, Y., Banks, J., Cane, D.E., Matte, A., Cygler, M.
著者 Sivaraman, J., Nagler, D.K., Zhang, R., Menard, R., Cygler, M.
主引用文献 Crystal structure of human procathepsin X: a cysteine protease with the proregion covalently linked to the active site cysteine. 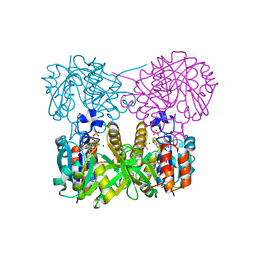 著者 Sivaraman, J., Cygler, M.
主引用文献 Crystal structure of histidinol phosphate aminotransferase (HisC) from Escherichia coli, and its covalent complex with pyridoxal-5'-phosphate and l-histidinol phosphate. 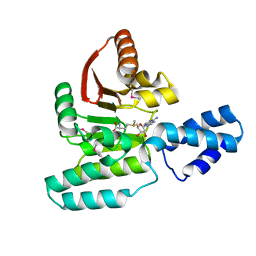 著者 Sivaraman, J., Li, Y., Larocque, R., Schrag, J.D., Cygler, M., Matte, A. 著者 Sivaraman, J., Sauve, V., Larocque, R., Stura, E.A., Schrag, J.D., Cygler, M., Matte, A. 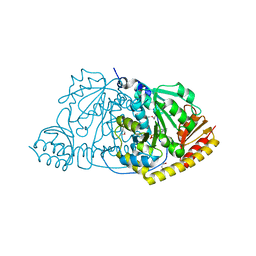 主引用文献 Structure of the 16S rRNA pseudouridine synthase RsuA bound to uracil and UMP. 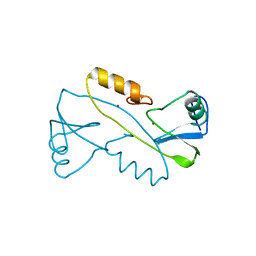 主引用文献 Crystal Structure of Methanobacterium thermoautotrophicum Phosphoribosyl-AMP Cyclohydrolase HisI. 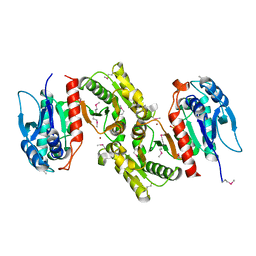 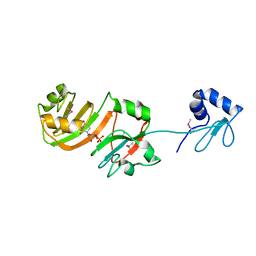 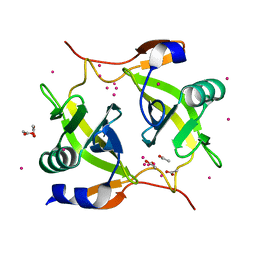 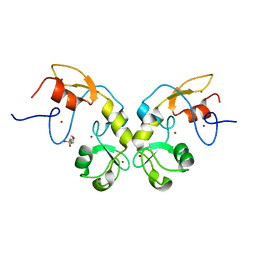 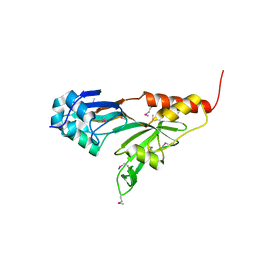 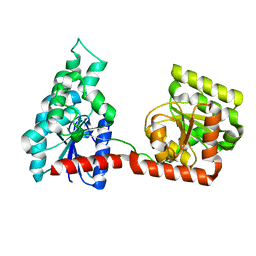 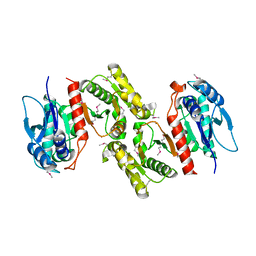 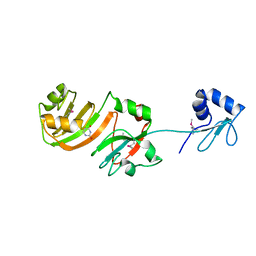 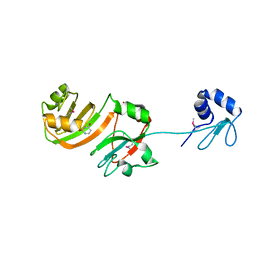 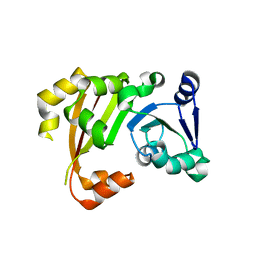 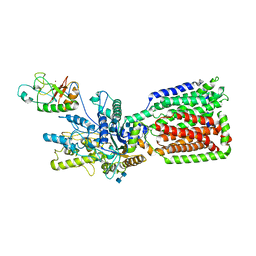 著者 Sivaraman, J., Lalumiere, M., Menard, R., Cygler, M.
主引用文献 Crystal structure of wild-type human procathepsin K.
著者 Sivaraman, J., Mukherjee, M.
著者 Sivaraman, J., Husain, N.
主引用文献 Structural basis for the methylation of A1408 in 16S rRNA by a panaminoglycoside resistance methyltransferase NpmA from a clinical isolate and analysis of the NpmA interactions with the 30S ribosomal subunit. 著者 Sivaraman, J., Chua, T.K. 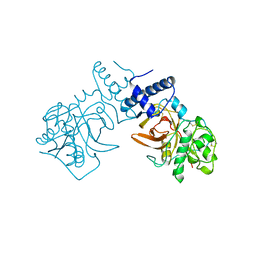 主引用文献 The Structure of Sucrose Phosphate Synthase from Halothermothrix orenii Reveals Its Mechanism of Action and Binding Mode. 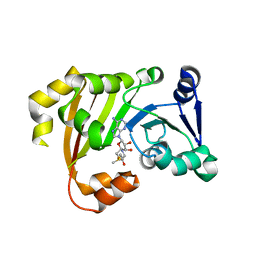 主引用文献 Structural basis for the methylation of G1405 in 16S rRNA by aminoglycoside resistance methyltransferase Sgm from an antibiotic producer: a diversity of active sites in m7G methyltransferases. 著者 Sivaraman, J., Nayak, D.
主引用文献 Structural basis for the indispensable role of a unique zinc finger motif in LNX2 ubiquitination.